I first visited Australia in 1999 after a wonderful trip through India and Asia, by land and when I arrived I almost did not realise the full potential of this amazing country because I was going to spend much of my time in Sydney since I thought this city was so amazing. However a city is like any other city to be honest and the crux and heart of a country cannot be realised until you head off into the wilds and feel the fresh air on your face. 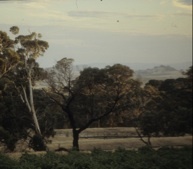 I had the best 6 months of my life, travelling from vineyard to vineyard, wine region to wine region from east to west and back again, sleeping underneath the stars in my little tent with just the occasional Kangaroo ,Wallaby or spider for company, apart from BBC world service that I listened to on my little Sony shortwave radio. This is how Whirly wine’s was born. I ended up working in vineyards, picking grapes and even blending grapes for a winemaker in Barossa. It was without doubt one very exceptional time in my life. I look forward to my next trip there with much enthusiasm. The wine world in Australia is fun: it can be serious of course but this is mostly hidden. Australian winemakers like to have fun with their wines which is why they muck around with blending grapes that in most wine countries such action would be frowned on. There were many highlights. 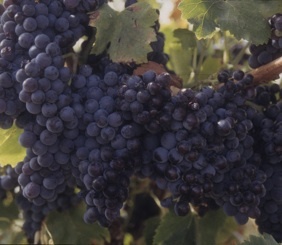 Western Australia and the discovery of great Cabernet, Clare valley, its English beauty and style. Victoria and the varied types of wines found in the smallest state of this country and driving and driving and never seeming to get anywhere! For more stories and wines available from each State please click on the State below.